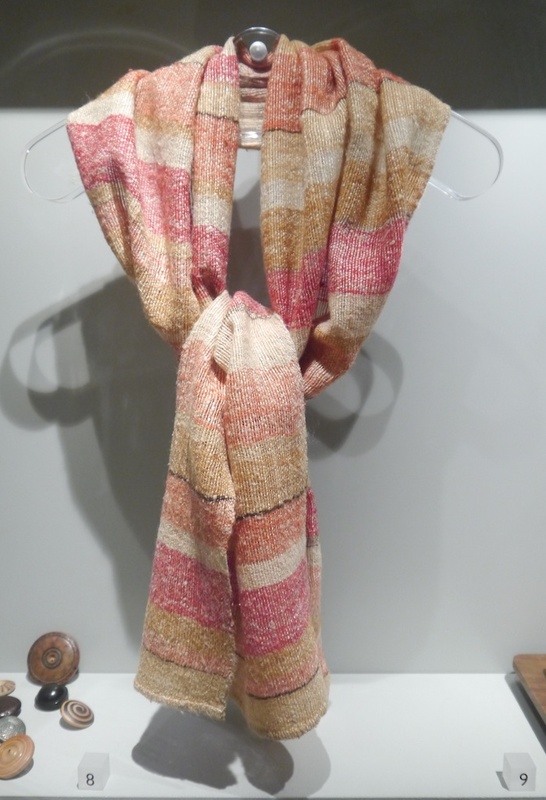 Ethel Mairet (1872-1952) was an exceptional weaver and dyer, who’s influence can still be felt today. 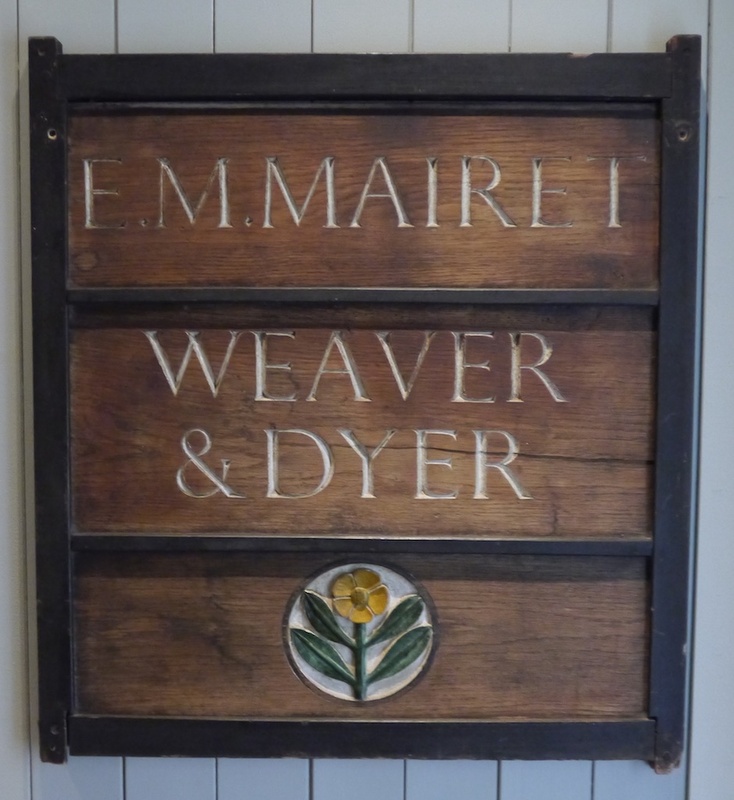 She was a member of the small but vigorous crafts community in Ditchling, where she established an influential weaving workshop at Gospels, alongside Eric Gill, Edward Johnston and Douglas Pepler. 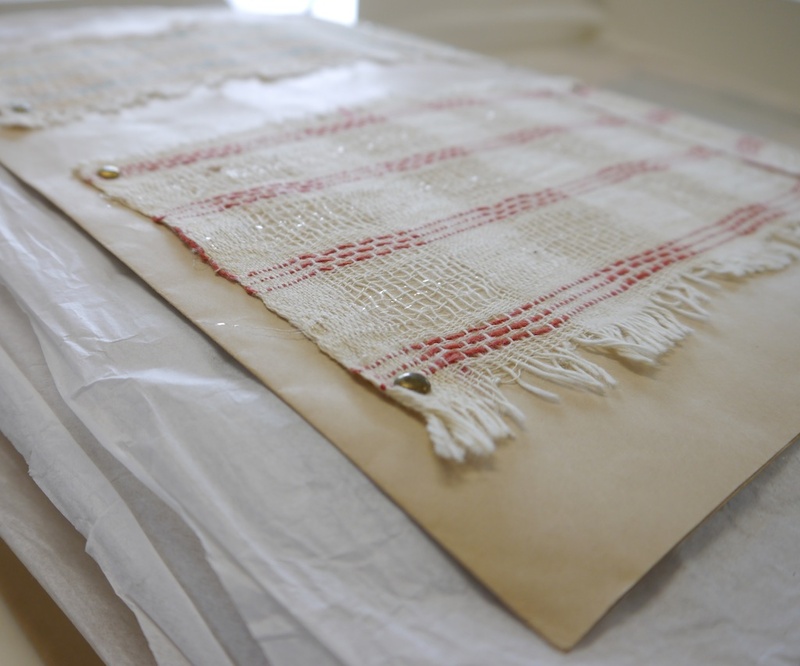 Mairet was greatly interested in demonstrating and educating, teaching weaving at the Brighton School of Art, exhibiting her work widely, publishing a number of books and articles and producing what she referred to as ‘textile portfolios’ with accompanying pamphlets to support teaching. 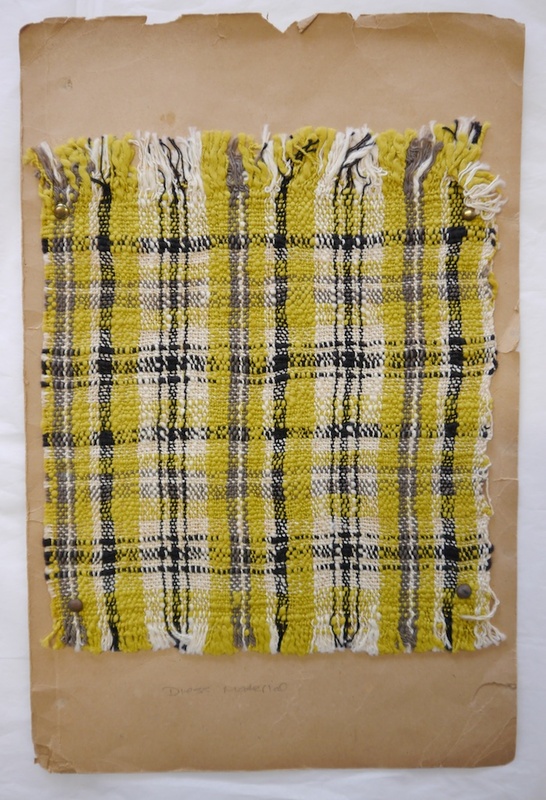 She has also been an important teacher to and collaborator with other well-known hand-weavers such as Mary Barker, Peter Collingwood, and Marianne Straub. 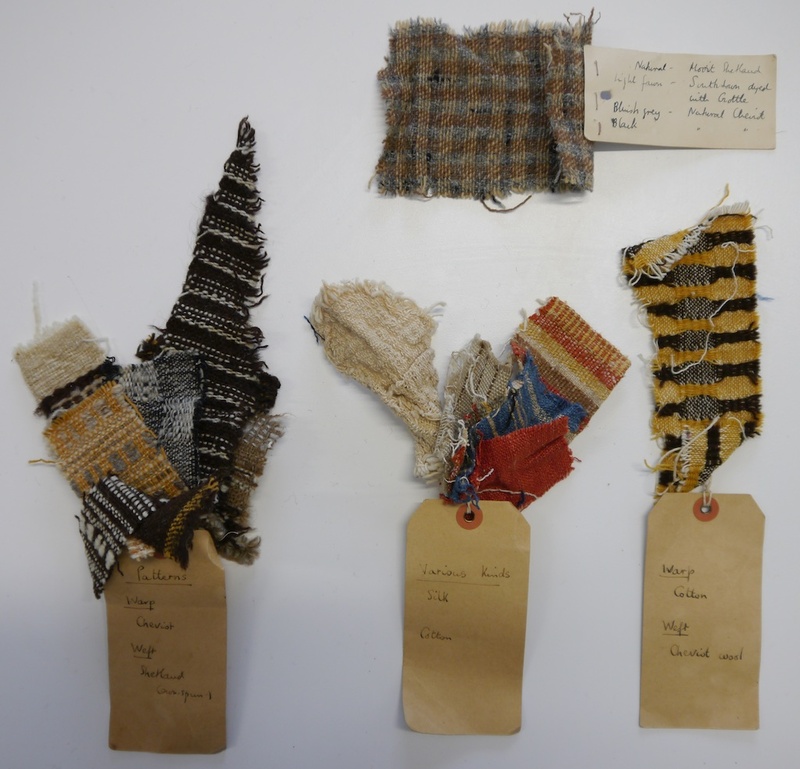 I’m fascinated by her approach to texture, colour, and fibre, and I had a very enjoyable afternoon with fellow textile appreciators Louise Spong and Jenny Dean, looking at the Mairet collection at the Ditchling Museum of Art and Craft, and seeing some of Mairet’s work up close. 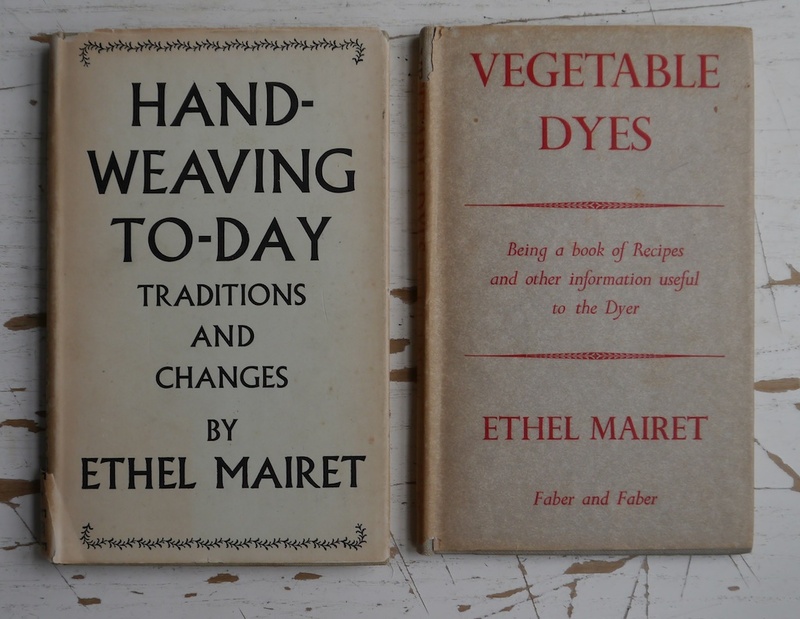 Mairet has written a small number of books on weaving and dyeing, and Vegetable Dyes; Being a book of Recipes and other information useful to the Dyer was first published exactly 100 years ago. Talking to natural dye expert Jenny Dean it soon became clear to me that Vegetable Dyes is very much of its time, and a modern-day dyer would perhaps struggle with some of her recipes, and certain mordants used by Mairet, such as chrome, are now no longer in use as they are very poisonous. 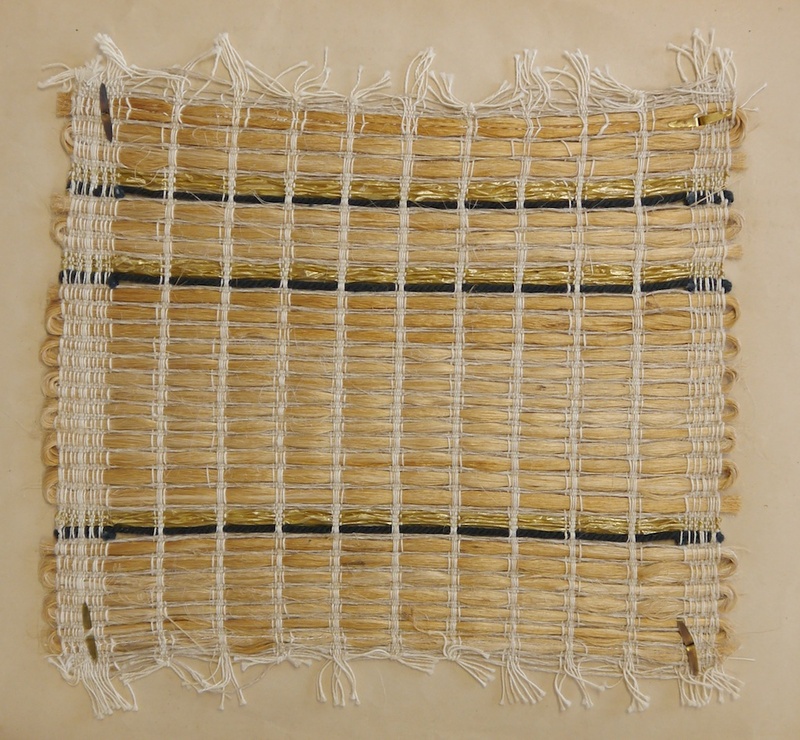 Hand-weaving To-day, on the other hand, shows an acute understanding of hand-weaving and industrial development, and her success at the hand-loom has not, however, prejudiced her against the machine, which can be directed in the service of quality. 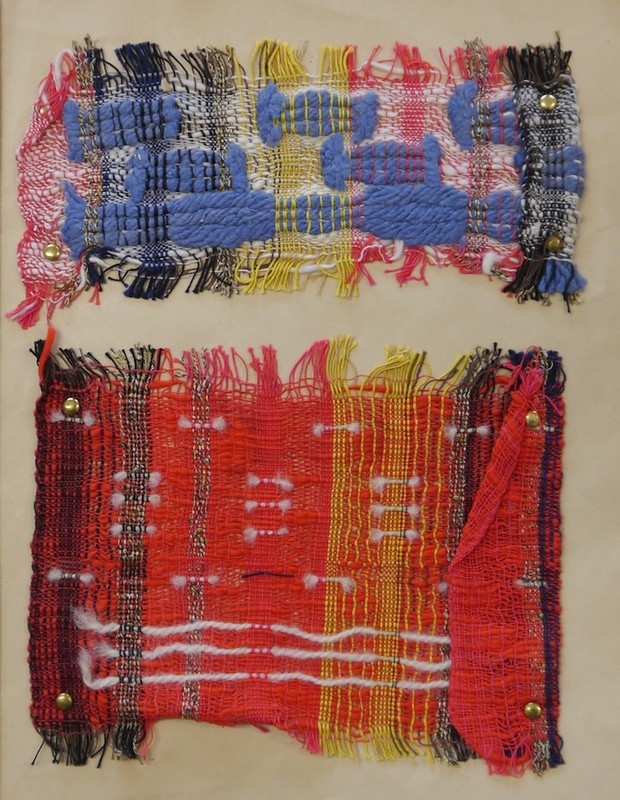 She was inspired by methods of the French cloth house Rodier, which employed hand-weavers to make highly regarded modern fabrics. 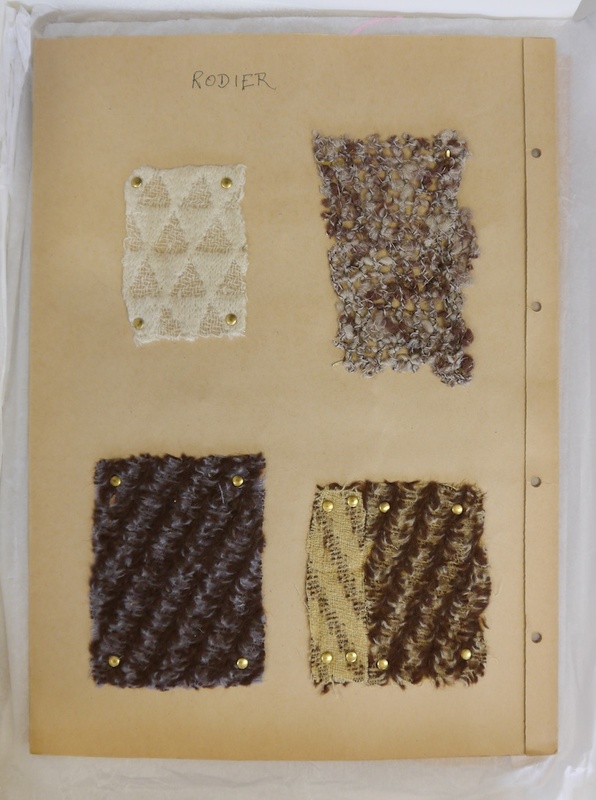 Many of Mairet’s fabrics combined different fibre types, natural and dyed yarns, and machine-made and handspun yarns to great effect. On the whole Mairet herself preferred to use simple weaving techniques, and concentrate on colour and combining differenty textured yarns instead, but other weavers in her workshop used more complex weaving techniques to great effect. 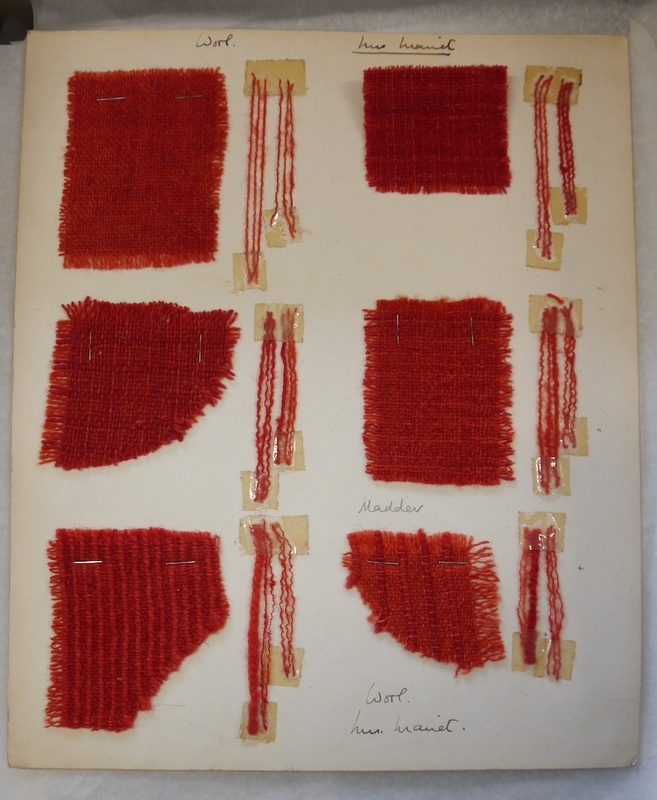 The output of Mairet’s weaving room was not only sold as fabrics, but also made up into clothes and accessories. 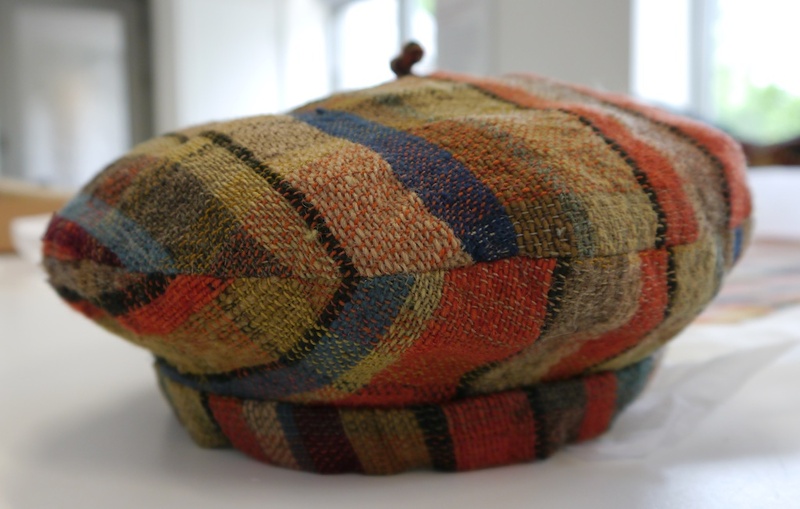 The weaving room at Gospels served as an informal shop most weekends, and in addition, Mairet sold through some small galleries, and used to have a shop on 68a East Street, Brighton. Visiting the Ditchling Museum of Art and Craft and seeing their Ethel Mairet collection has allowed me to get a better understanding of her forward-thinking approach to creating textiles, and it remains a constant source of inspiration and motivation for me as I continue to explore and find my way through ‘slow textiles’. 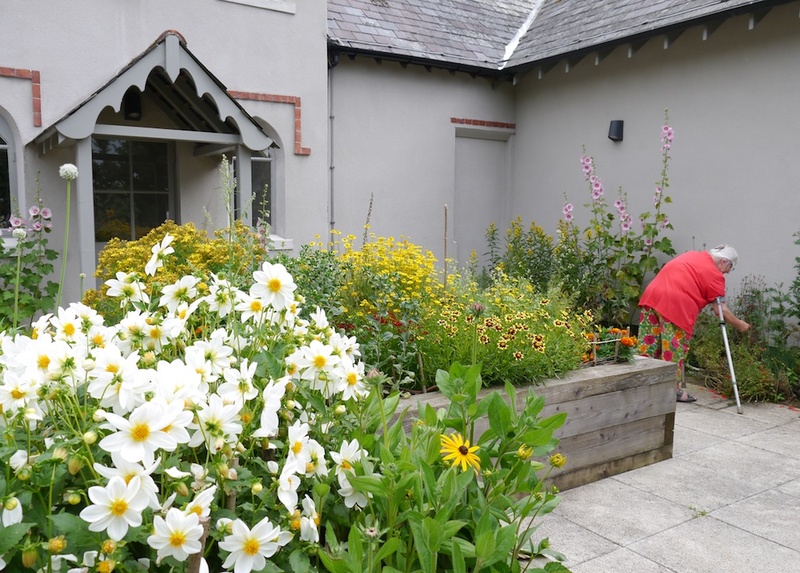 As the Ditchling Museum is only small, there is necessarily not much on display; so if you wish to see the Ethel Mairet collection, then you can find more information here to make an appointment. 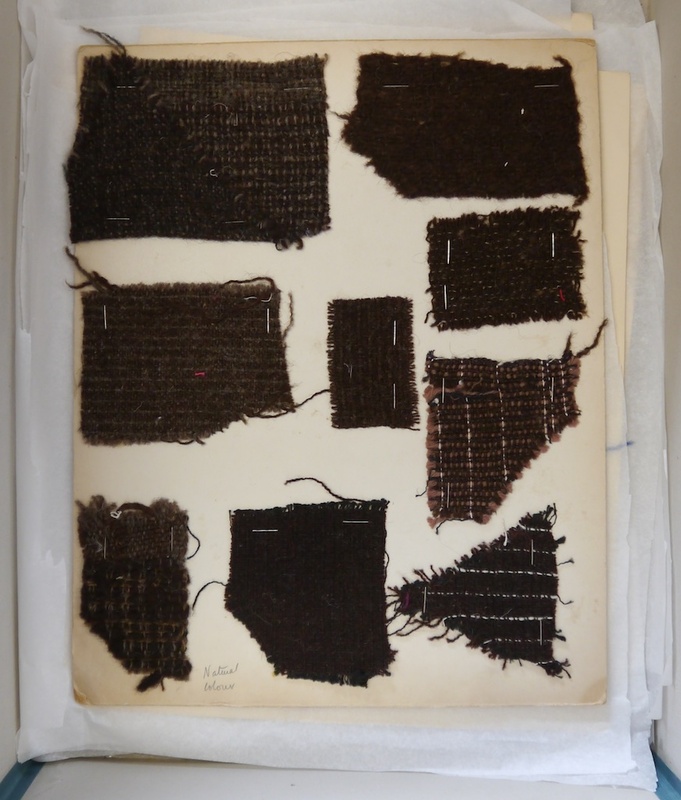 If you wish to learn more about Ethel Mairet, then I can highly recommend A Weaver’s Life, Ethel Mairet1872-1952, by Margot Coatts, published by Crafts Study Centre, Bath, 1983. Note: unless otherwise stated, all pictures are taken at the Ditchling Museum of Art and Craft, with their kind permission.